A wide range of design and technical difficulties can be resolved with polyurethane elastomer products. This is credited to urethane’s unique combination of desirable engineering properties. Polyurethane can be substututed for many other rubbers and plastics, and in some cases metals, with superior results. We employ a low-pressure casting process, therefore the initial tooling fees are a fraction of those in high-pressure molding systems. Click image to see other examples of our work. Urethane provides excellent wear characteristics as well as resistance to chemical attack and corrosion which has rendered it an asset to the agricultural manufacturing industry. Examples of uses are: seed meters & deflectors, augers, and pipe linings. 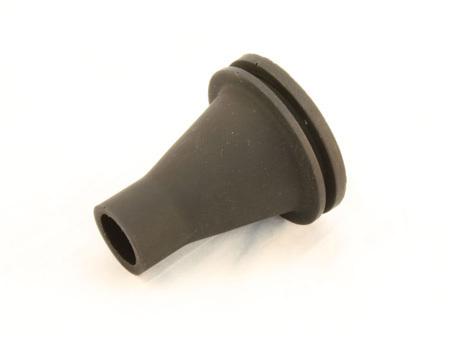 Our grommets are designed for ease of insertion, while protecting the wires or hoses that passes through them from sharp edges in wall openings. We have many standard sizes in stock, or we can provide parts manufactured to your specifications in a short turn-around time. For applications requiring the passage of several wires or cables through the same wall, we can design and mold multiple-hole grommets. 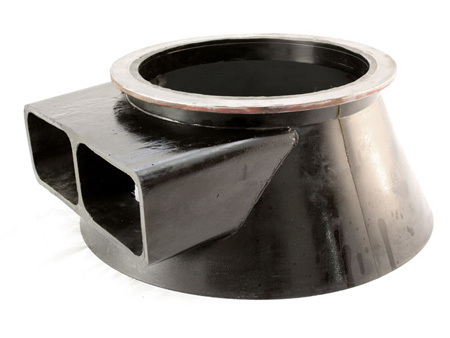 These grommets can be designed to snap or bolt in place. In cases where the area of the grommet is large relative to it’s thickness, a steel plate can be molded within the urethane for rigidity. We also manufacture a range of clamps used to lock and secure hoses, cables, tubes, and wires. 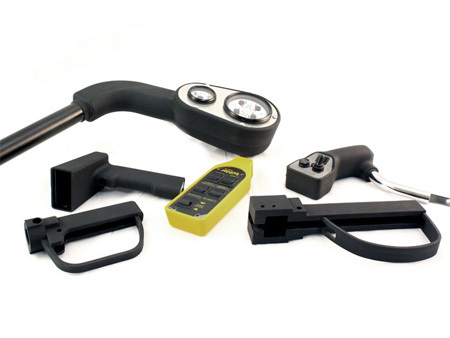 These can be designed to be permanently fixed in place, or allow quick insertion and removal while being held in place during use. Steel bolt liners are molded into the clamp to prevent deformation during installation. Low-cost tooling of polyurethane manufacturing and the variety of formulations available has made polyurethane housings more common in the marketplace. Electronics enclosures, protective shells, and mechanical structures are a few applications that can be satisfied with polyurethane casting. Metal inserts, threaded parts and gaskets are just some of the components that can be molded into our housing assemblies. State Industries manufactures a range of seals with different geometries and formulations for several applications. For high-temperature applications where polyurethane cannot withstand the temperatures, cast silicone has proven to be very effective. Silicone maintains it’s characteristics at temperatures up to 400F. State Industries has demonstrated the technical ability to produce components which meet exacting specifications and quality expectations of the aerospace and military sectors. Examples of parts we manufacture are: combat vehicle components, underwater digital camera housings, and liners for missiles. 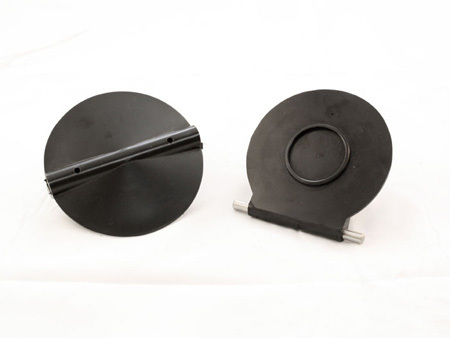 The right formulation can be provided according to the function of the part. Where required, metallic inserts such as mounting brackets or bolt hole liners can be integrated within the urethane part. We currently manufacture shock absorbers for the agricultural, automotive, mining industries as well as for general industrial applications. We can provide any size of bar stock material (from a variety of formulations) for further machining. The superb performance in high abrasion applications makes polyurethane sheets an ideal choice as sheet liners, press liners, die strippers, or table top covers. We stock and are setup to mold a variety of bar stock materials in standard geometric shapes including bar, solid round, tube, pads, and sheets. These shapes can be produced from any of our formulations. Stainless Steel threaded inserts bonded to the hard part. Threaded Stud bonded to polyurethane for ease of assembly. High tear and shear resistance. Positive bond between Polyurethane and steel shaft. Dual Durometer meter section, softer middle and harder outer section. Protects wires and cables from sharp edges. Sleeve portion to be clamped around the cable to seal. 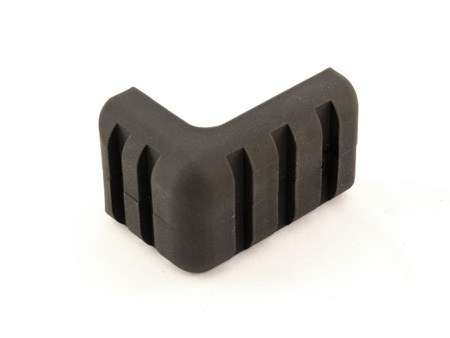 Cosmetic part with soft grip. Structural tube carrying wires bonded to the Polyurethane housing. Abrasion, UV and weather resistance. High impact, UV and weather resistance. Threaded brass inserts bonded to Polyurethane material to assemble hardware. SS bracket bonded to soft Polyurethane.